Many successful investment strategies are centered around risk and reward, and investing your money in gilts or a biotech startup illustrate how differently you can approach risk and the contrasting fortunes you can anticipate in return. You are hardly likely to see gilts soar and your money double in a hurry whereas there is always the chance that could happen with your biotech stock. The drawback with a bold high-risk investment strategy is that it can go either way and you can end up making huge gains or see your cash fall into a black hole. The relevancy of this observation about differing levels of risk, is that with alternative investments for example, there are some like investing in ground rents for example, which offer steady returns or there are more adventurous options which offer the prospect of higher yields. If you happen to be a yield-hungry investor and have some capital set aside and are happy to be a bit bolder with your approach, peer-to-peer loans might be a good fit. The attractive aspect of peer-to-peer lending is the fact that you can choose the risk-profile that you are most comfortable with and then lend money to borrowers through the various established sites, who match that perceived level of risk. The yields are attractive and will normally vary somewhere between 5% and 11%, in line with your risk-appetite. Sites such as Prosper.com and the Funding Circle to name a couple, all tend to operate in a similar way by grading borrowers from A through to G or whatever system they are using. Basically, a borrower who has been vetted and is rated as a A-grade borrower is considered less likely to default than someone who has been accepted as a borrower but is rated somewhere further down the grading system. The perceived quality of the borrower and their likelihood of repaying the debt on time and in full, is reflected in the borrowing rates they are charged. So if you want to mix and match you could choose to lend some money to a higher-risk borrower and earn a double-digit yield on your money or you could stick to higher-rated borrowers and accept a lower rate of return. The attraction of peer-to-peer lending is that you get to choose who you lend your money to and decide what sort of yield you want to try and achieve. 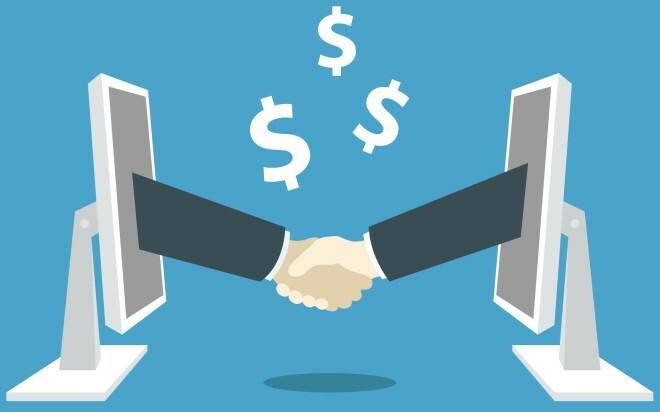 The other point to bear in mind about these peer-to-peer lending sites is that they do all of the vetting of borrowers for you and sites like the Lending Club for instance, claim that 90% of all loan applications are declined, so hopefully even the higher risk loans are still to what can be considered as prime customers. Staying on the theme of lending as an alternative investment, financing private mortgages might be worth considering if you are looking for high yields. You can find specialist brokers who match borrowers with lenders and these brokers will vet the applicants before offering up the loan proposal and matching it with an interested lender. This type of lending is referred to as hard-money loans, because they are secured against an asset and they bridge the gap in the market where cash-poor borrowers or real estate investors looking for a bridging loan, bypassing the traditional bank lending markets. You can often expect to earn somewhere around 10% and 12% per annum financing private mortgages and the foreclosure rate runs at about 3%, so the default rate is acceptable in relation to the yield you are achieving, plus you still have the security of the asset. Sinking all of your money into one startup is the ultimate risk-reward strategy and not to be recommended if you invest money you can’t afford to lose. The attraction of investing a startup is obvious, as you could be buying a piece of a company that goes on to become a global brand and earns you millions, or it could sink without trace and simply become a distant memory. This is where micro-investing could be a profitable and less risky alternative investment strategy which promises to deliver high yields. The basic principle of micro-investing is that lots of small investors each take an equity stake in a fledgling startup and by spreading your cash around in smaller investments rather than risking it all in one startup, you can stand the inevitable losses that go with the territory of startups, when they fail to get off the ground. It is estimated that about two in every ten startups will become profitable so there is no denying the risks are still very much apparent, although by micro-investing, those two companies could earn you as much as ten times your original investment, or more. If you want higher-yields and are prepared to take a view that you may not start to see regular returns for up to five years, micro-investing could be a way of generating longer-term profits, if you are prepared for the inevitable ups and downs, that this type of investment involves. These are a few examples of alternative investments that can offer attractive yields but as with any potential investment, the level of return you might be able to achieve is often commensurate with the level of risk involved.